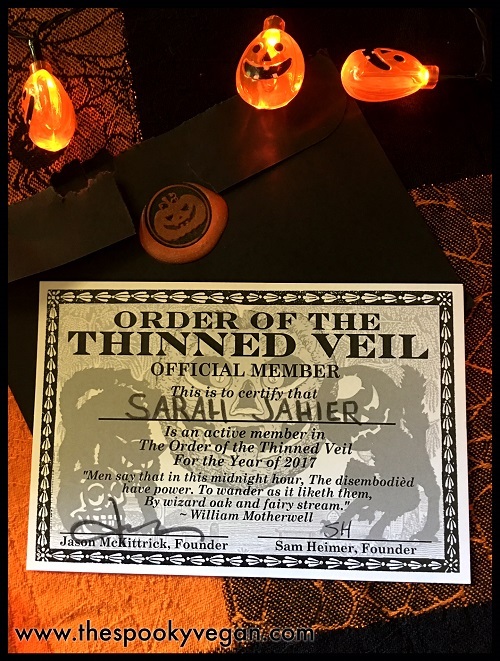 A few months back I wrote a post on The Order of the Thinned Veil, a Halloween appreciation society for like-minded worshipers of the best holiday! 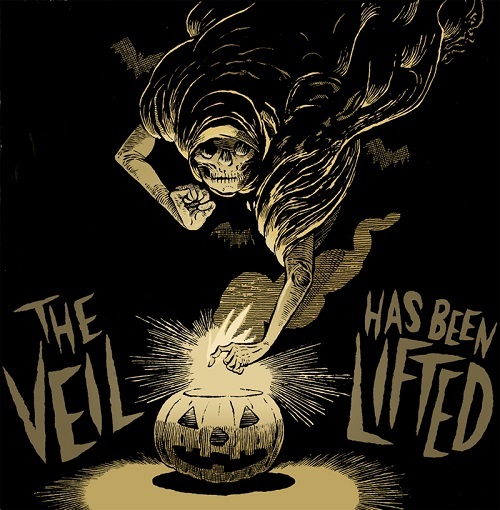 This Halloween club is run by the artist and creator of The Cryptocurium Jason McKittrick and co-founded by artist Sam Heimer. 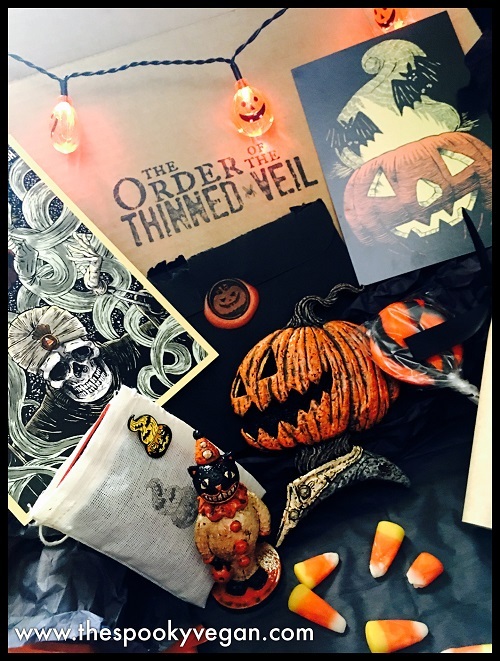 It offers three tiers of membership packages, Candy Corn, Trick or Treat, and All Hallows. 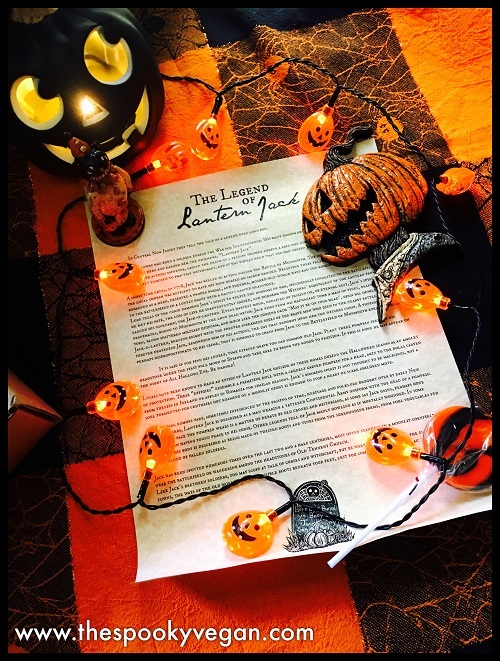 Each level has its own perks like exclusive artwork, certificates, hand-painted figurines, invitations to special events, and more Halloween goodies. When you join, you pay a one-time fee, receive one membership package (this isn't a reoccurring monthly subscription), and are a member for the year. Throughout the year you receive access to members-only perks and events. Unboxing the package, I was greeted with so much happy orange and black! candy corn was good to show scale of some of the items! 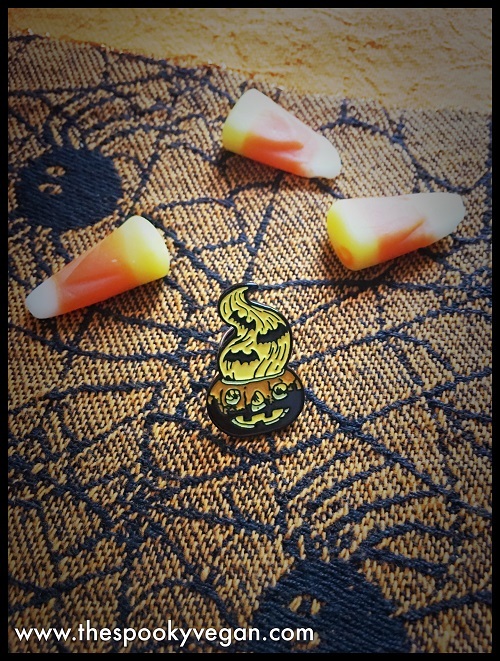 orange jack o’lantern emblazoned wax seal. on a high quality die-cut antique-style parchment paper. "With Help From Those Who Went Before" Print by Sam Heimer. 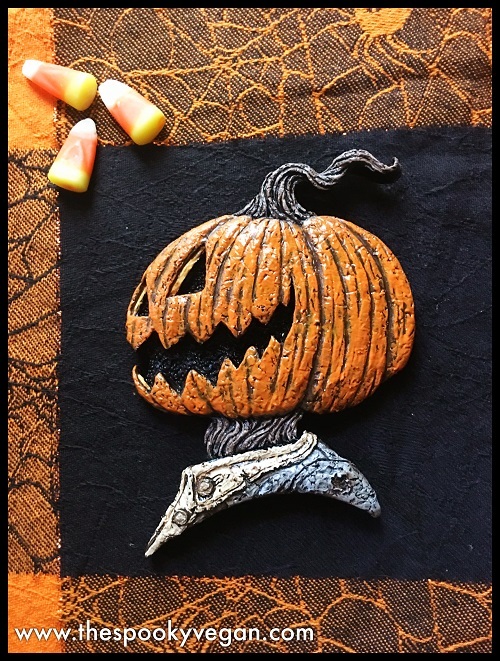 “Lantern Jack” Wall Plaque by Jason McKittrick. 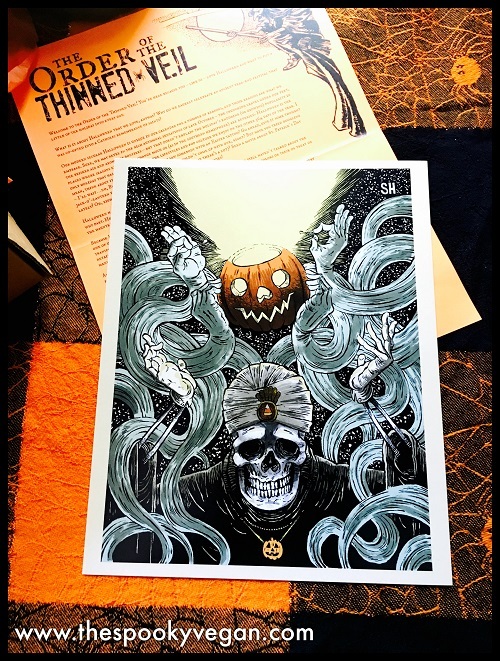 The pumpkin-headed revenant told of in New Jersey legends. Cast in solid resin and individually hand painted. 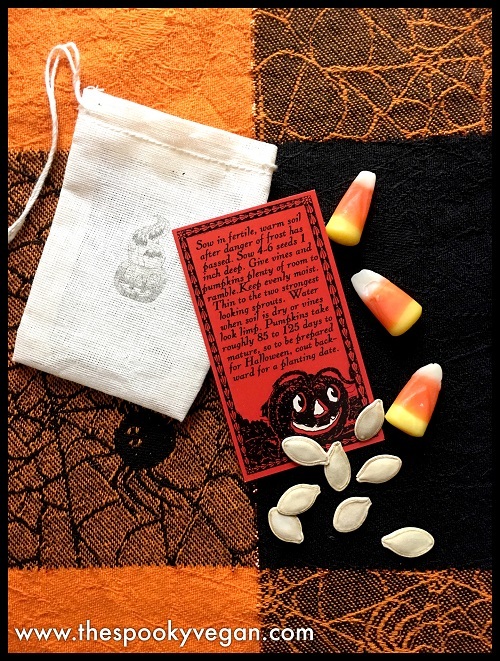 Pumpkin seeds with included Order of the Thinned Veil drawstring bag. 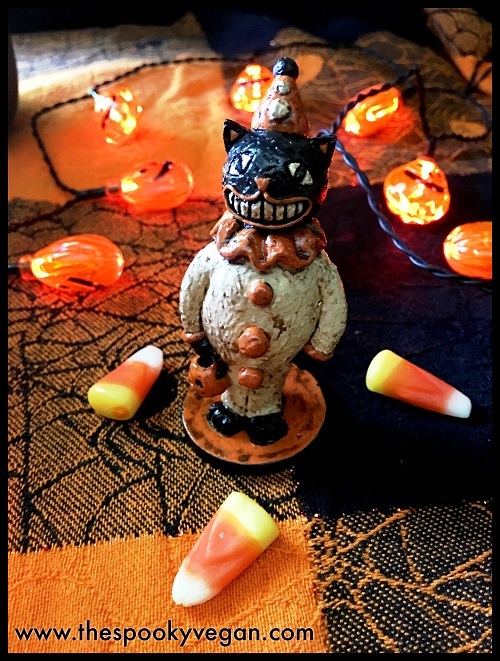 "Halloween Cat Clown" hand-painted figurine by Jason McKittrick. A jolly and mischievous feline trick or treater from days gone by. Stands 4″ tall. Signed and numbered. One thing to note is that it may take some time to receive your package since many things are hand-painted and it's a one-man operation. 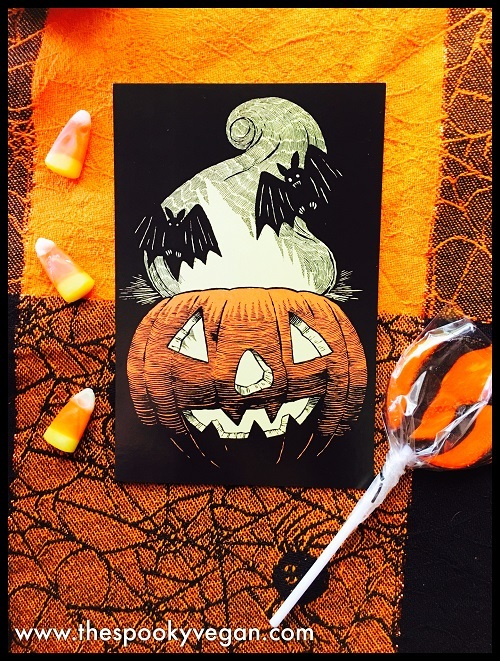 The Candy Corn level packages shipped last month, the first of the Trick or Treat level packages just shipped, and the All Hallows level packages are expected to ship mid- to late-July. So be patient - their Instagram is a good place to check for announcements when packages are shipping. 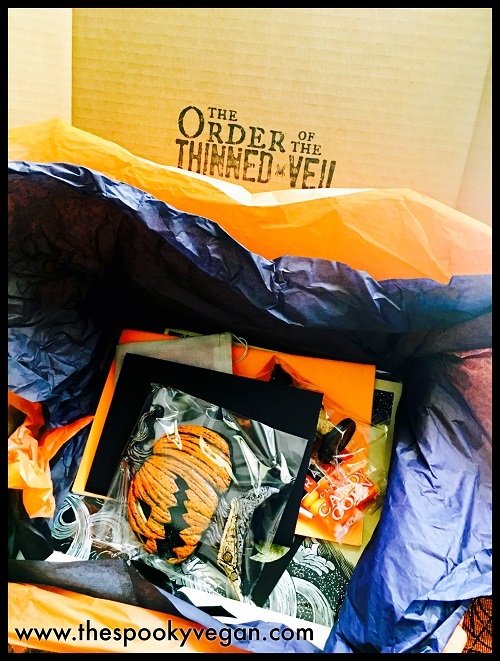 My Order of the Thinned Veil package had me grinning from ear-to-ear like a jack-o-lantern, and I am happy I joined this Halloween club. 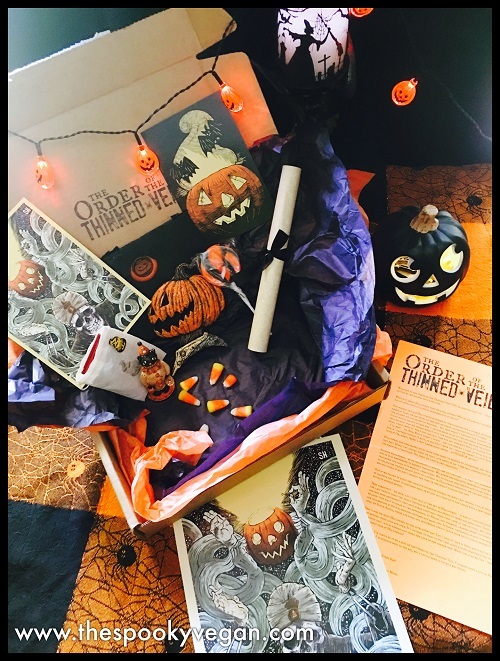 You can join year-round, so it is never too late to get your own Halloween happiness with this membership. 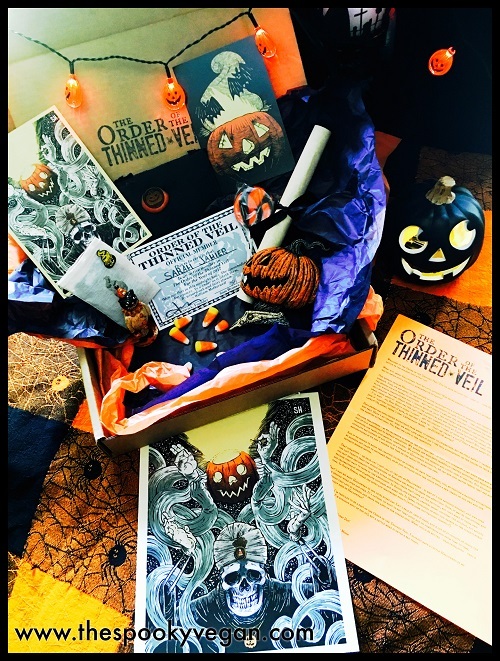 Find out more and order your own Halloween membership on The Order of the Thinned Veil!